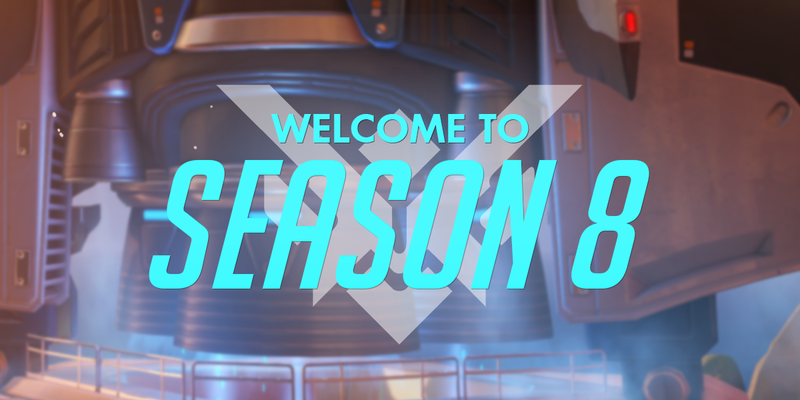 Get ready to sharpen your skills and perfect your strategies — Season 8 of Competitive Play has begun! To learn more about what's new, check out the official release below. In addition to experiencing the thrill of victory, players can also unlock unique rewards through Competitive Play. Anyone who completes their placement matches during a season will receive a special spray and player icon. If you are placed within the Top 500 players on your platform (and in your region) at the end of the season, you'll receive an extra player icon and animated spray. On top of that, as you complete competitive matches, you'll earn a currency called Competitive Points. When the season concludes, you'll also receive a number of these points (based on your overall performance) to spend on golden versions of your favorite heroes' weapons. Over the last few months, we've been listening to your feedback and working behind the scenes to make this season of Competitive Play better than ever. So, before you dive into your placement matches, let’s talk about what's new for Season 8. This change should help players at both the lower and higher limits of Skill Rating get placed with allies and against opponents of a similar skill level, which in turn should lead to more satisfying games overall. Personal performance Skill Rating adjustments for Diamond-tier players and above have been removed. Previously, Skill Rating gained or lost in these tiers was calculated in part by how well you performed during a match. We hope this will help players focus more on winning matches rather than on their individual performance. To learn more about this change, click here. Season 8 is live RIGHT NOW on PC, PlayStation 4, and Xbox One, so power up your favorite gaming machine and join the fight. We'll see you on the battlefield!